Many Afghans who fled their country after the Soviet invasion set up businesses in Pakistan making and selling hand-made carpets and rugs. A deterioration in regional security has driven many people out of the region in recent years, while mass-produced, machine-made carpets are a much cheaper option. 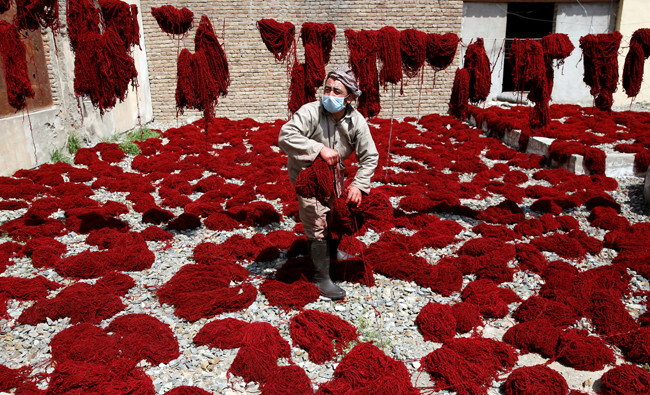 PESHAWAR: Afghans long ago mastered the art of making hand-knotted carpets that are some of the best in the world. Yet, the traditional craft, which has endured for hundreds of years, is on a gradual decline among the refugee population in Pakistan. 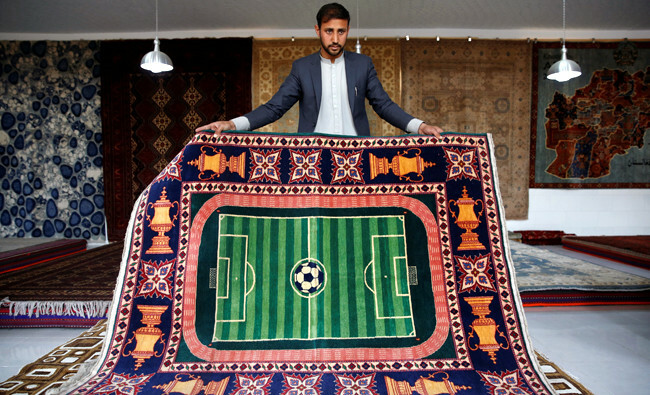 When Imadullah’s family fled the Soviet invasion of Afghanistan and arrived in Pakistan in 1982, his father wasted no time in setting up a carpet-making business. Despite being poor, illiterate and new to the country, he made it possible for his family to integrate with the local Pashtun population. Imadullah’s father also wanted to uphold the legacy of his ancestors, who were skilled carpet weavers. His faith in his own ability inspired other Afghan immigrants, as well. Many installed their own carpet-weaving machines in the area, creating a new kind of economy that flourished in the region, in Pakistan’s north west. Things were going well for the family until 2008, after which they began to face a lot of trouble when the security situation started deteriorating in the province of Khyber Pakhtunkhwa (KP). This had a drastic effect on many local businesses, and the hand-knotted carpet industry was no exception. For Imadullah’s father and other carpet weavers, the situation they found themselves in was reminiscent of what they had faced in their own country decades ago. The war that began in Afghanistan in December 1979 gradually transformed into factional fighting among warlords and their ragtag militias, destroying all economic activity and depriving many people of their livelihoods. As the situation worsened in KP, the authorities in Pakistan started conducting extensive search operations in Afghan settlements to round up possible terrorist sympathizers. The relationship between the administrations in Islamabad and Kabul deteriorated, the former tried to fast track the Afghan repatriation process, which led to the forced evacuation of significantly large numbers of refugees. Imadullah’s father was among those who went back, chasing a life of dignity he had always dreamed of. The worsening security situation is only one reason for the decline of carpet making among the refugees. The combination of challenges explains why so many Afghan people have been looking for other ways of making a living. Hamid, 35, used to make and sell carpets but now he sells vegetables in Peshawar. There was a time, he added, when his family made a substantial living by running a successful business. Hamid also went to great lengths to try to sell his products by himself. “I used to travel for months in different corners of the country, carrying heavy carpets over my shoulders,” he said. “However, most people expected me to give them huge discounts and tried to haggle me down. After the 9/11 attacks in the United States in 2001, foreigners stopped coming to Peshawar, further damaging the carpet business. 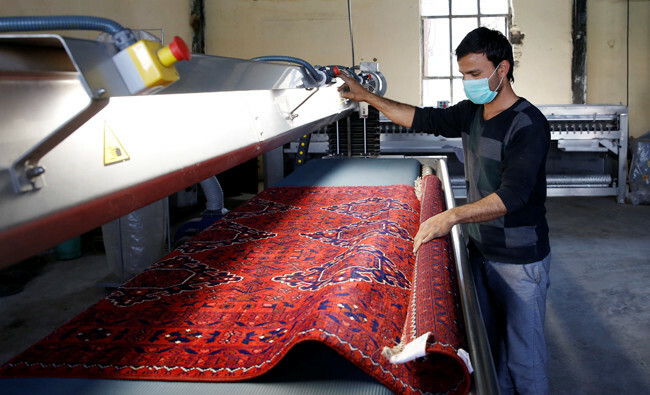 “A carpet that sold for 10,000 rupees only fetched about 3,000 then — that was nearly the cost of producing it,” said Hamid. Mohibullah is a carpet dealer still working in Peshawar. Given all these harsh realities, Imadullah said he is not interested in passing on his traditional carpet-manufacturing skills to his children.